20+C+M+B+17 – Saint Ignatius In Daily Life. I believe it was an anxious heart that had me longing for God. I’m sure it was a similar longing that the shepards felt when they left the 99 to go and find the 1 lost sheep. In her frantic pace running towards the open tomb,Mary Magdalene was longing to meet the risen Jesus. On Epiphany Sunday, we play witness to two styles of longing. The Magi, led by faith had the courage to take the steps that would lead them to this vulnerable infant. It was the restless hearts of the Magi that opened their eyes to the bright light on the horizon. Herod also shows us a longing on Epiphany Sunday. As the bright light of the star shined in his eyes, he became afraid. He was not inspired by the ray of hope this star promised but blinded by his greed, power and wealth. On this Epiphany Sunday, reflect on what star you are longing for. 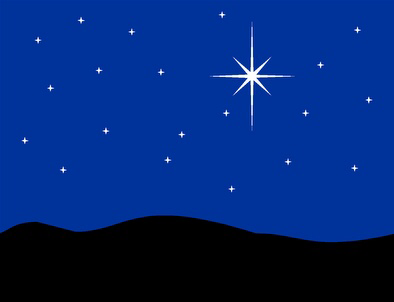 Do I have the faith and courage to begin taking the steps towards the bright star of peace and hope as the Magi did? Or do I mirror Herod? One who is afraid and cannot see past his riches and self interests. The peace one finds in being counter cultural today can be life changing. Having the courage to welcome God into your life and speak openly about His word as the Magi did. Not to be blinded by greed and power. Having that clear vision of the star on the horizon. Praising the glory of God and serving others before self.